If you’re looking for a creative space away from your house to strum your guitars, tinkle the ivories on your Baby Grand, head bang to your favourite rock music or produce club bangers with your samplers, drum machines, speakers and other studio hardware, then a SMART garden music room will provide you with the perfect surrounding. As a musician or producer, having your own music room at the end of your garden means you are free to be as creative as you like – surrounded by nature and with no distractions! Having your own SMART garden music room means you can set up your workspace to create your music exactly how you want it. There will also be no more lugging heavy equipment or instruments around to an expensive rented studio or rehearsal space and you will be freeing up any space in your house that was previously used for storing your equipment. Strong, solid, robust walls and double-glazed doors and windows ensure that whatever music equipment you store in your SMART garden music room will be safe and secure. 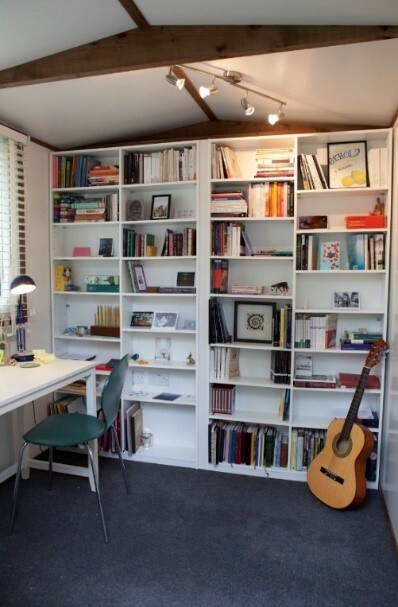 Each of our SMART garden music rooms boasting full thermal insulation in the floor, walls and ceiling so you can enjoy spending your time creatively by writing, practising, producing or recording music 365 days a year, whatever the weather. It’s time to take control and listen to what you want, when you want and as loud as you want – without disturbing your family or neighbours!